The first thing not known about Tariq Hameed Karra is that he is not Karra. He is Wani. But the conversion of Wani to Karra has an interesting background that is linked to Kashmir’s phenomenally modest past. Somewhere during the Dogra autocracy, Kashmir was hit by a drought. It was dictated by a total halt in rains. People needed food. After Maharaja’s granaries were emptied, Wanis of Batamaloo, being the major landlords around Srinagar, had their stores full of peas. Better growers, they had decided against raising paddy for lack of water and instead opted for peas and it fetched a good crop. As the going got tough for people, peas-full-stores were opened. Peas are Karra in Kashmir and that fetched the family a new surname, dictated by an overwhelming situation. While some families of the same clan are still Wanis, a major section, however, are Karras. The second interesting part of the story is that Karras and Abdullahs are not strangers to each other. It is again the dark past of the place that had linked them quite closely at one point of time. The family legend among Karras is that they were traders selling Pashmina and Tus in Bengal (now West Bengal). Around 1920s when the Quit India movement was at its peak, two brothers Mohammad Abdullah Wani and Abdul Gaffar Wani felt politically enlightened by the happenings around. They decided to sell off their fortunes and return home to initiate a same kind of movement back home. Then, it is believed, they owned three buildings housing around 500 shops in Calcutta. They sold them and returned home. Back home, the traders joined the like-minded like Molvi Yousuf Shah and Amla Munshi. Once they decided to offer some resistance to the autocracy, they lacked a face. The hunt for a face to resistance was eventually discovered. It was a school teacher Mohammad Abdullah Sheikh who was resisting at his own level. They adopted the teacher who eventually became the Sher-e-Kashmir Sheikh Mohammad Abdullah. 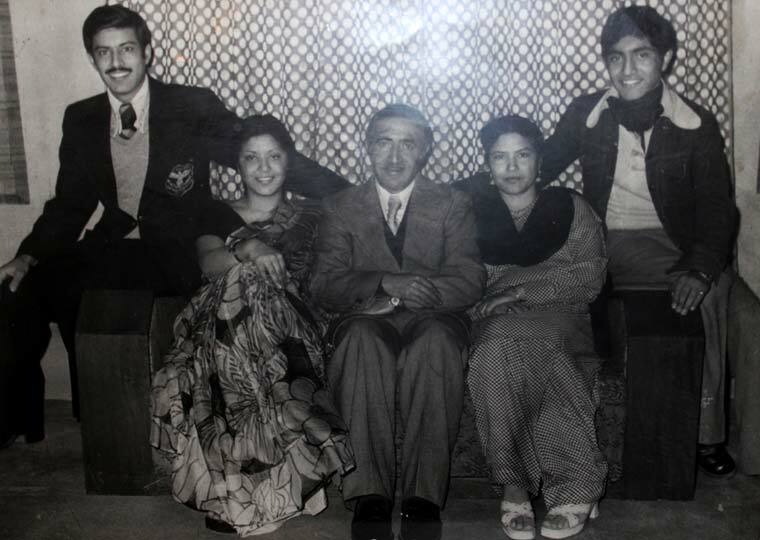 Tariq Hameed Karra (extreme left) with his brother, sister and parents. By then Abdullah and Gaffar had their sons studying in AMU. They returned and joined NC. Gaffar’s son Ghulam Mohammad Sadiq was NC’s Vice President and eventually became the Chief Minister as his sister Zainab Begum was a minister. Abdullah’s son Ghulam Mohiuddin Karra would become the organizational backbone of the NC till he parted ways with the Sheikh. Tariq Hameed Karra is Mohiuddin Karra’s grand-son. Third important thing is that the two dynasties that started politics together had a love-hate relationship. G M Sadiq was VP of NC and after Sheikh was imprisoned and jailed by Nehru in 1953, he supported Bakshi Ghulam Mohammad in a virtually hijacked NC. When Sadiq eventually replaced Bakhshi, he was a full time Congressman. Prior to that, Sadiq had floated Democratic National Conference (DNC) that he later merged with Congress. 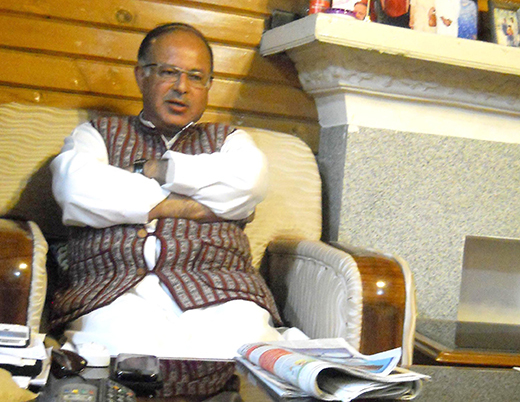 In Srinagar’s post-partition history, Karra is the only politician who has been finance and planning minister. During his different roles in the state government, Karra proved controversial a few times. It included his support to the use of dual currency in J&K on both sides of the LoC. Karra had a bit of problem with his party prior to his fielding to the Lok Sabha. Though he insists the issue was not different from what happens in families, NC tried its bit to make it an election issue. Abdullahs’ even said Karra was knocking at their door, an allegation Karra rejects. But how did Karra manage a better campaign by spending slightly more than one fourth of what Dr Abdullah spent? “Ours was a very serious campaign,” Karra said. “We would go to a belt and camp there, go from door to door and interact with youth.” That was perhaps why Karra pounced NC in most of its strongholds like Kangan, Chrar-e-Sharief, Ganderbal and most of Srinagar. Khawaja Ghulam Mohiuddin Karra/Wani and Abdul Hameed Karra/Wani’s father’s name was Mohammad Ahmedullah Wani and not Mohammad Abdullah Wani. Mr. Tariq Hameed Karra is grand nephew (not grand son) of Khawaja Ghulam Mohiuddin Karra as correctly pointed out by Mr. Burhan Wani.